Genuine Jays Jays made Grab or 'man' Bag. UK DPM 1000 Denier Cordura type material, with OG strapping and black buckles. 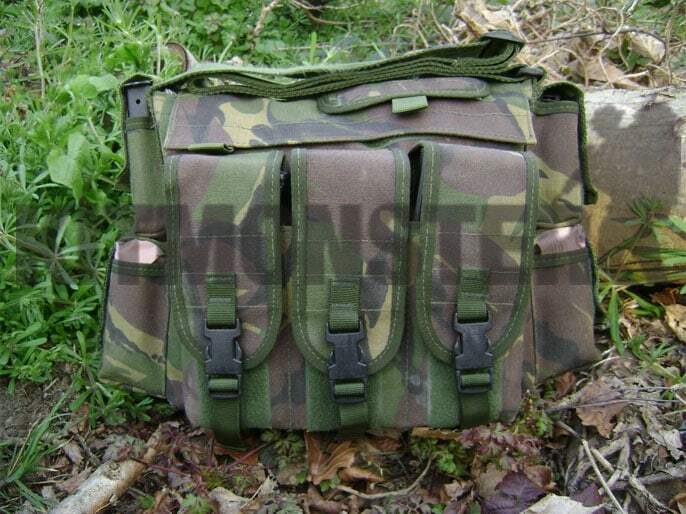 Originally developed for UKSF as a car bag for ammo, med' kit and comm's on plain clothes operations. 3 external mag pouches each taking 2x 30 round 5.56mm mags, 1x 20 round 7.62mm or a single AK type mag as shown. 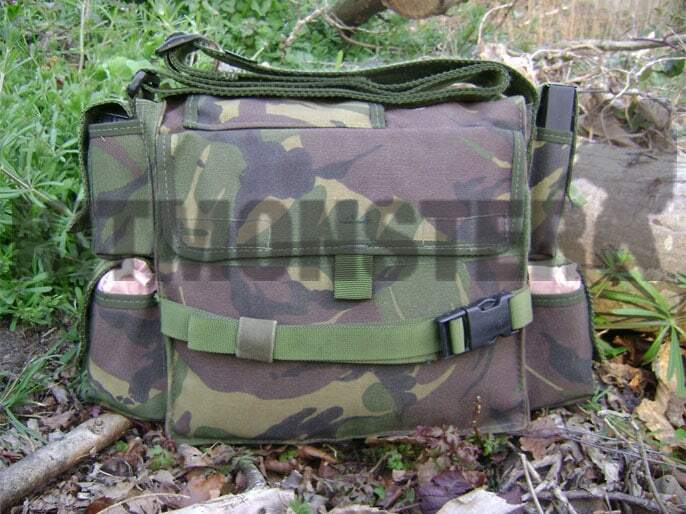 All Mag pouches have Velcro closures and QR buckled adjustable straps. Large main compartment under a Velcroed lid. Internal pockets for radio kit with additional antenna/cable access flap. Two small pockets at each end. These pockets are of various sizes for pistol mags, dressings, smoke and distraction grenades. Velcro flapped document pocket on back. Adjustable shoulder strap with mike loop and waist strap. Used but very good condition, this has been worn in, not worn out, sound and undamaged. Single item only, multiple views shown, single empty bag supplied, all arms and muntions are inert.